In what could turn out to be a landmark discovery in the history of Mars exploration, imaging scientists using data from NASA's Mars Global Surveyor spacecraft have recently observed features that suggest there may be current sources of liquid water at or near the surface of the red planet. The new images, available at http://www.jpl.nasa.gov/pictures/mars or http://www.msss.com/mars_images/moc/june2000/ , show the smallest features ever observed from martian orbit -- about the size of a sport-utility vehicle. 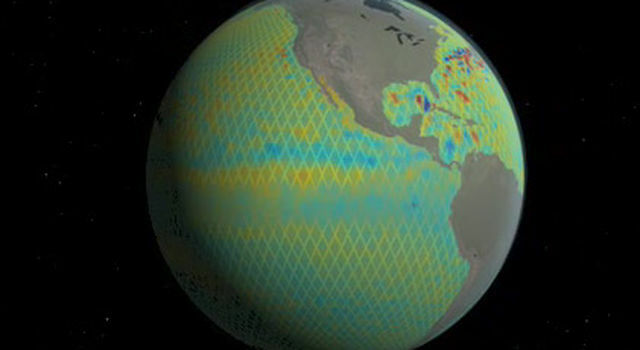 NASA scientists compare the features to those left by flash floods on Earth. "We see features that look like gullies formed by flowing water and the deposits of soil and rocks transported by these flows. The features appear to be so young that they might be forming today. We think we are seeing evidence of a groundwater supply, similar to an aquifer," said Dr. Michael Malin, principal investigator for the Mars Orbiter Camera on the Mars Global Surveyor spacecraft at Malin Space Science Systems, San Diego, Calif. "These are new landforms that have never been seen before on Mars." The findings will be published in the June 30 issue of Science magazine. 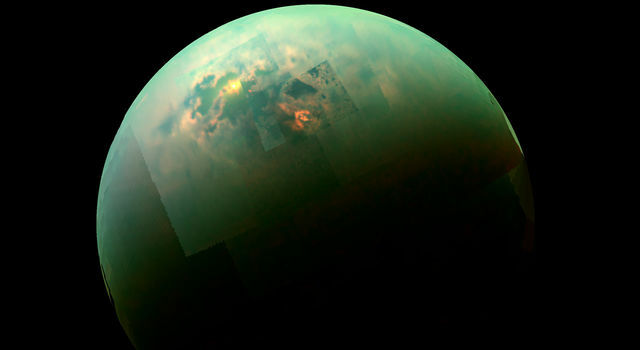 "Twenty-eight years ago the Mariner 9 spacecraft found evidence -- in the form of channels and valleys -- that billions of years ago the planet had water flowing across its surface," said Dr. Ken Edgett, staff scientist at Malin Space Science Systems and co-author of the paper in Science. "Ever since that time, Mars science has focused on the question, 'Where did the water go?' The new pictures from Global Surveyor tell us part of the answer -- some of that water went under ground, and quite possibly it's still there." "For two decades scientists have debated whether liquid water might have existed on the surface of Mars just a few billion years ago," said Dr. Ed Weiler, associate administrator for space science at NASA Headquarters. "With today's discovery, we're no longer talking about a distant time. The debate has moved to present-day Mars. The presence of liquid water on Mars has profound implications for the question of life not only in the past, but perhaps even today. If life ever did develop there, and if it survives to the present time, then these landforms would be great places to look." The gullies observed in the images are on cliffs, usually in crater or valley walls, and are made up of a deep channel with a collapsed region at its upper end (an "alcove") and at the other end an area of accumulated debris (an "apron") that appears to have been transported down the slope. Relative to the rest of the martian surface, the gullies appear to be extremely young, meaning they may have formed in the recent past. "They could be a few million years old, but we cannot rule out that some of them are so recent as to have formed yesterday," Malin said. Because the atmospheric pressure at the surface of Mars is about 100 times less than it is at sea level on Earth, liquid water would immediately begin to boil when exposed at the martian surface. Investigators believe that this boiling would be violent and explosive. So how can these gullies form? Malin explained that the process must involve repeated outbursts of water and debris, similar to flash floods on Earth. "We've come up with a model to explain these features and why the water would flow down the gullies instead of just boiling off the surface. When water evaporates it cools the ground -- that would cause the water behind the initial seepage site to freeze. This would result in pressure building up behind an 'ice dam.' Ultimately, the dam would break and send a flood down the gully," said Edgett. The occurrence of gullies is quite rare: only a few hundred locations have been seen in the many tens of thousands of places surveyed by the orbiter camera. Most are in the martian southern hemisphere, but a few are in the north. "What is odd about these gullies is that they occur where you might not expect them -- in some of the coldest places on the planet," Malin indicated. "Nearly all occur between latitudes 30 degrees and 70 degrees, and usually on slopes that get the least amount of sunlight during each Martian day." If these gullies were on Earth they would be at latitudes roughly between New Orleans, Louisiana, and Point Barrow, Alaska, in the northern hemisphere; and Sydney, Australia, to much of the Antarctic coast in the south. The water supply is believed to be about 100 to 400 meters (300 to 1,300 feet) below the surface, and limited to specific regions across the planet. Each flow that came down each gully may have had a volume of water of, roughly, 2,500 cubic meters (about 90,000 cubic feet) -- about enough water to sustain 100 average households for a month or fill seven community-size swimming pools. The process that starts the water flowing remains a mystery, but the team believes it is not the result of volcanic heating. "I think one of the most interesting and significant aspects of this discovery is what it could mean if human explorers ever go to Mars," said Malin. "If water is available in substantial volumes in areas other than the poles, it would make it easier for human crews to access and use it -- for drinking, to create breathable air, and to extract oxygen and hydrogen for rocket fuel or to be stored for use in portable energy sources." "This latest discovery by the Mars Global Surveyor is a true 'watershed' -- that is, a revolution that pushes the history of water on Mars into the present," said Dr. Jim Garvin, Mars Program Scientist, NASA Headquarters. "To follow up on this discovery we will continue the search with Mars Global Surveyor and its rich array of remote sensing instruments, and in 2001, NASA will launch a scientific orbiter with a high spatial resolution middle-infrared imaging system that will examine the seepage sites in search of evidence of water-related minerals. "Furthermore, NASA is in the process of evaluating two options for a 2003 mission to Mars, both of which could provide independent information concerning the remarkable sites identified by Malin and Edgett." 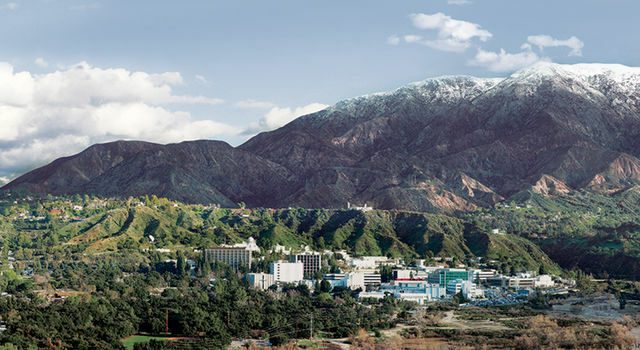 NASA's Jet Propulsion Laboratory (JPL), Pasadena, Calif., manages the Mars Global Surveyor mission for NASA's Office of Space Science, Washington, D.C. JPL is a division of the California Institute of Technology in Pasadena. Malin Space Science Systems built and operates the camera system. 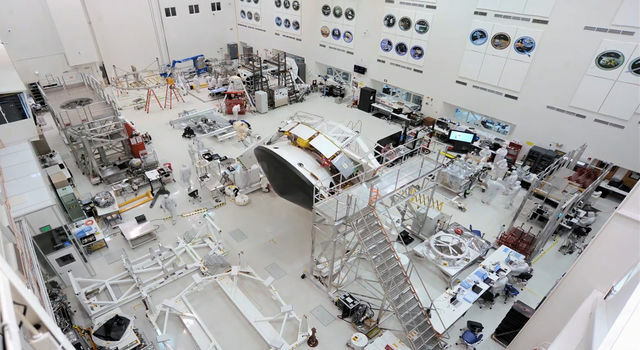 JPL's industrial partner is Lockheed Martin Astronautics, Denver, Colo., which developed and operates the spacecraft.